Got Bounce? 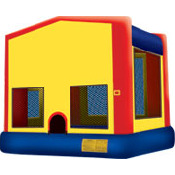 This bounce house provides over 150 square feet of pure bounce. Item Dimensions: 15'4" x 13'0" x 16'4"